This week was full of surprises. We were able to welcome back Jen from Leeds, discuss various exploits at UKGE including Woody’s tooth problems, James’s dual-style holiday in Martinique, I walked from home which took 35 mins and involved more movement than I’ve had all year, Dan turning up before 8.30 (approx. 7.35 I think), and Philip managing to cajole three others into a game of Terra Mystica, hurrah! Attendees; Woody, James, Scott, Neil, Andy, Jen, Tom (briefly), Philip, Amanda, Barry, Dan, Gary. While some of tucked in there was a full complement of six for this one; Andy, James, Jen, Tom, and Scott. Apparently, it was very close and Scott didn’t win (! thanks Tom) with Jen taking the glory. Gary who was new, went first [Technically Philip, Gary wasn’t new, it was the game that was new to Gary, n’est pas? ed.]. The starting set up had vps for Trading posts (Air), Dwellings, Dwellings (Priest bonus), Spades, Strongholds (Air) and Trading posts. The free shipping and cult bonus starting tiles were not in play. With the spade bonus in round 4 I decided to give Gary the Halflings. Scott picked the Nomads, I picked the Darklings and Andy picked the Auren. Gary started on the eastern continent (F5) All of us placed a dwelling adjaccent to his, walling him in- his second dwelling was on its own in the southern continent (I8). Meanwhile another group of dwellings appeared on the central continent, while Scotts' third dwelling was on the Northern continent. Last time someone played the Halflings they didn't realise they had a discount on upgrading their Spades and didn't bother to do so. So this time I made a point of mentioning the discount in my rules explanation to Gary. Understandably he therefore rushed to upgrade his Spades on turn 1- picking the Priest starting tile for the purpose. He also built a Temple, taking the Earth 1 favour. I also built a Temple, taking the Earth 1 favour and was able to terraform and build on two hexes in the Eastern continent, bringing me adjacent to a Swamp hex (E10) next to Andy's Stronghold. I burnt off 6 power getting an extra Priest and (towards the end of the turn) +7 money. Andy took the Water 2 favour with his Stronghold and ensured he would get a bonus spade at round end, while expanding in the central continet with a spade action starting tile. Meanwhile Scott built a Temple, taking the Earth 2 favour, and also expanded in the central continent, using a spade power action. Turn 2 saw me build my Sanctuary, taking the Water 2 favour, and send a Priest to the Water track. Gary upgraded his spade rate again and Scott and Andy expanded their settlement on the central continent to near-town size. Turn 3 saw Scott, me and Andy building our first towns, both Scott and Andy taking 8 VPs and +1 All cults, while I took 9 Vps and a Priest. Andy and I had reached 8 on the Water track and recieved two Priests as a bonus. Turn 4 had lots of points scored by me and Gary because of the Spade bonus. Gary was settling most of the southern continent while I covered the western half of the central continent. Andy built up his position on the eastern continent and Scott built up his on the northern continent. I scored 8 VPs from the Dwelling starting tile this round. Turn 5 saw Scott, me and Andy acheive second towns and Gary acheive his first. Scott, me and Gary built our strongholds. Turn 6 saw me block Gary in the southern continent for no good reason at all (I had a kind of illusion that I could build a third town there but I was about 10 resources short on that front) and Andy complete his third town (northern continent, east). Andy won largest area with Scott second and me third - despite 4 buildings isolated on the eastern continent. Cult track points were mostly won by Andy, the Auren being good for some purposes, with Scott getting most of the remainder. Final Scores; Philip - 147, Andy - 122, Scott - 121, Gary - 108. Note: Scott would have tied with Andy if my final move hadn't pushed me up one on the Air track and cost him a VP. Analysis: Gary was not helped by me and Scott picking adjacent terrain types to him- by contrast Andy benefited from having easy access to his side of the terrain board. We then made things worse by walling Gary's first dwelling in. 108 is a perfectly respectable score, this was quite a high scoring game. But he would probably have scored more by building a bit of infrastructure before upgrading his spade rate. Andy put on a much stronger performance in his second game, but then in his first game he was the Giants! horrific theme. Area control, set collection, push your luck.. all smoothly combined in a simple ruleset. Even with a rules explanation and 2 new players [more ‘new’ people, what is it with you lot? ed.] it still took less than an hour from start to finish. So how did the game go? The early stages are driven by the cards available which lead me to go for control of the largest area managing to pick this up within 3 sets of route laying. Amanda and Jen were finding their feet in their first game, but both still managed to pip Dan to the first to build in each region and from this point Dan was struggling. He did try to psyche me out at one stage suggesting we were both battling for last place... but I could see through this false bravado. Woody must be in dreamland ... his favourite games designer is throwing them out left and right ! Hot on the tail of Bruges, Stefan Feld has another new release which Neil kindly arrived with .. Rialto. Woody, Barry II and Neil sat down for a first go at what is a reasonably light Feld game. It was great to see Tonio and for him to arrive just in time to join the fun. Rules run down by Neil completed, off we went. In summary, there are six rounds, one for each district on the map. Hands of cards are dealt face up (one more than number of players) and turn order dictates who chooses a set of cards first. The cards played in certain sets allow you to improve your turn order, collect gold, build buildings and build bridges/gondolas which increase the VP value of the districts. Finally, placing workers in the districts. VPs are available during the game plus end game scoring dictated by the value of the gondolas & bridges attached to each district. The majority player getting full value, then each player after that getting half, quarter, eighth. 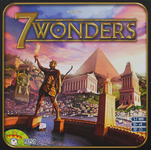 General consensus was that this is another cracker from Feld ... looking forward to playing again. I took the honours in both 7 Wonders and Show Manager, and the house collapsed on us in Flash Point (although I believe we rescued enough people to technically win by the rule book). James, I think you actually did fairly well, presuming you were aiming to be the gentleman in every game. Well, me and space games, I don’t know what it is, we just don’t get on. There must be some great ones, why the hell should the theme destroy every one of them? Clearly, it can’t. So following disastrous plays of Ascending Aliens, Planet Steam and Mission: Red Planet, it was time to try another one out. Tonio kindly taught the game, new to both Barry and myself, and said we’d only get to play a couple of rounds but would get a good feel for the game in that time. Oh yes, yes indeedy! Barry and I had a practice build and learned what to look out for… everything. And then Tonio took us through the strategic bits of looking at the event cards that would destroy everything we’d put together. We avoid those how exactly? We don’t? Ok. So, round one proper. Fully expecting Tonio to turn the sand-timer over within seconds it was a mad grab for tiles trying to remember which did what and what fitted with what and what the hell is that bit? But time seemed ok, probably because we all put the tiles we didn’t want back down face up rather than face down. Integrity of pieces was ok although there was some last minute reconstruction of Barry’s craft. And then the card events come out. Each one dents a little bit more of spaceship not to mention your confidence or understanding. Or you lose cargo, crew and batteries of course. Of course. If you cope with the threats then you go backwards on the score chart. Right. Second round. We know what we’re doing now don’t we. Oh yes. Bigger craft to produce this time, must make sure I get more engines, guns, spacemen, batteries, well everything in fact. Off we go, more frantic tile grabbing and I suddenly decide to make a streamline craft and put the pressure on the others to make theirs with the sand-timer running. Didn’t work. So I have a light-weight craft and am first in line to experience the threats… uh oh! Needless to say I was crushed from each and every side. The others took some knocks but were hitting back too. Barry had been paying more attention than me somewhere along the line, won by a space mile! I can see the game being fun the more pickled you are perhaps. I’m glad we didn’t have time for the last two rounds though. Tonio convinced me that ‘it’s not totally random’, and off I went into the night, Barry kindly taking me home. I’d have got lost if I’d tried to walk it!